Our mission is to help our clients make wise financial decisions. Whether you are an individual or an organization, you have a unique situation. We will work with you to develop a customized investment strategy to help grow, preserve and distribute your wealth. Your goals become our focus, and achieving them – with expense controls, risk controls and tax-efficiency - becomes a commitment that we share. 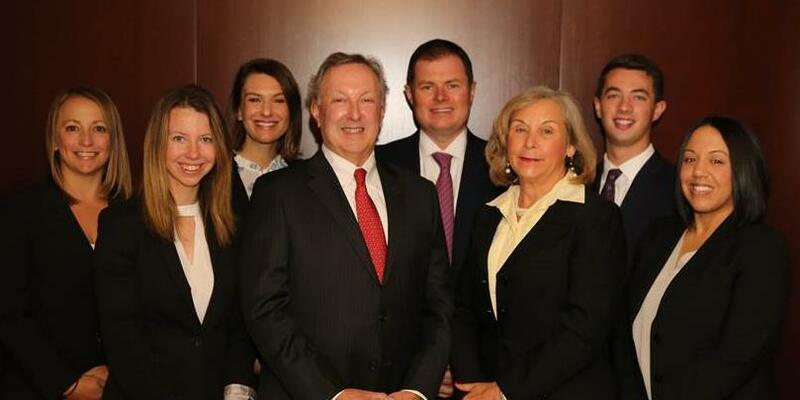 The Jeffrey|Chamberlain Group is a six person team of dedicated advisors and associates. We work with families, qualified retirement plans and non-profit organizations. We offer clients a high level of responsive service and have enjoyed decades long relationships with many. Morgan Stanley’s vast resources help us adjust to changing market conditions and attend to new objectives as they arise. DISCOVERY MEETING: Call or email our office and we will set up a short meeting, by phone or face-to-face, to learn more about you. We will discuss your goals, investment objectives, current financial situation and more. If you decide to work with us we will provide a checklist of what we will need to move forward. We will craft an investment strategy that meets your cash flow requirements and required rate of return, while also managing risk, expenses and taxes. IMPLEMENTATION: Our client services associates will help you through the implementation process of opening, funding and/or transferring your accounts. In addition they will help you maximize the benefits your Morgan Stanley relationship which may include cash management arrangements, online access and bill pay, account aggregation services, and our Reserved® client rewards program. ONGOING REVIEW: Once the accounts are opened and the investments are in place, we review the accounts internally regularly. We also expect to meet with you periodically to do an intensive review and evaluation. Of course if you ever have any questions, you can send us an email or give our office a call anytime for immediate assistance. Financial Planning Documents - Below you will find helpful documents to begin your financial planning journey! Philanthropy has long been a great part of our clients’ financial plans over the years. The Jeffrey|Chamberlain Group at Morgan Stanley also enjoys doing our part in promoting it through volunteering and doing professional advisory work for many local non-profit organizations. Advising clients since 1982, Robert I. Jeffrey manages a team of seven people with approximately $480 million assets under management as of June 2016. Areas of focus include financial planning (with a focus on retirement cash flow analysis) and managing discretionary investment portfolios. He cherishes long-term relationships with clients and strives to deliver excellent advice and service. 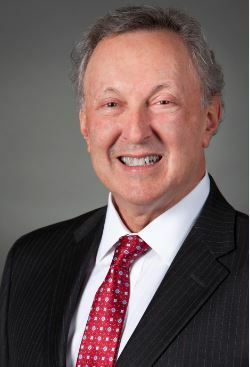 A native of Baltimore, Bob earned his BA and MA degrees from The Johns Hopkins University. He is a graduate of the Securities Industry Institute of the Wharton School at the University of Pennsylvania and studied policy sciences at the graduate level at University of MD Baltimore County. Bob is also active in the community, currently serving on the investment committee for the Horizon Foundation and on Leadership Howard County’s 30th Anniversary Campaign Committee. He is a founding member and former Treasurer of the Howard County Estate Planning Council, currently serving on the Board of Directors. He is a past Director and Assistant Treasurer of the Howard Community College Educational Foundation. Bob is a 1991 graduate of Leadership Howard County and a 2000 graduate of Leadership Maryland. A resident of Columbia, MD, Bob is married to Bach Tran-Jeffrey, a retired dentist currently studying Mandarin and Spanish. They have two sons, Alexander, an Adjunct Professor of Physics at Howard Community College in Columbia, and Zachary, an Associate with Jensen Hughes in Atlanta. Jason joined The Jeffrey Group at Morgan Stanley in 1997 and is a CERTIFIED FINANCIAL PLANNER practitioner. Jason’s personalized wealth management process is designed to provide a roadmap to a client’s financial future. As a Senior Investment Management Consultant, Jason designs tailored investment solutions to implement a client’s financial strategy. Jason helps monitor a client’s performance and as circumstances change, suggests appropriate modifications to keep them moving towards their goals. Finally, Jason helps protect key financial goals by developing appropriate insurance coverage strategies. Jason has experience working with Corporate Executives and uses his wealth management process to help maximize the benefits of their executive compensation strategies. As a Chartered Retirement Plans Specialist he has experience working with companies to establish and maintain retirement plans that provide effective participant outcomes. 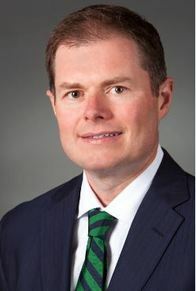 Jason is an active member of Morgan Stanley’s Association of Professional Investment Consultants and serves of the board of the Howard County Estate Planning Council. He has a B.A. degree in Economics from the University of Maryland Baltimore County. He is a past President of the UMBC Alumni Association and is a 2009 graduate of Leadership Howard County. Jason serves on the Board of the Baltimore Montessori Public Charter School, the Hopewell Cancer Support Center's Reach Out and Run 5k race committee and is a member of the American Heart Association’s 2017 Executive Leadership Team for the Howard County Heart Ball. Jason, his wife Becky, and their children, William Josie and Russell, live in Baltimore City. 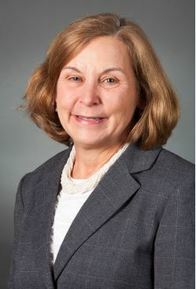 Barbara is a Financial Advisor and Certified Retirement Planning CounselorSM for the Jeffrey Group at Morgan Stanley. 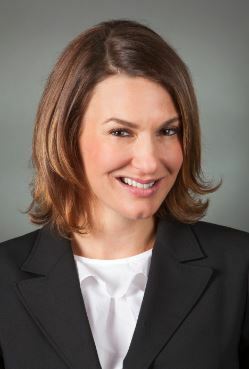 She is responsible for wealth planning and implementing investment strategies for our clients. Barbara enjoys assisting clients with customized financial plans to help them define and meet their financial goals. Barbara has over 29 years of Retirement Plan experience. Previously a Regional Retirement Plan Specialist for Morgan Stanley, Barbara uses her experience to advise our institutional clients with Retirement Plan issues such as fee disclosure, fund and provider reviews, employee education and ensuring their fiduciary responsibilities are covered. Barbara received a BA in Business and Economics from Old Dominion University. She currently serves on the board of the Hopewell Cancer Support Center’s Reach Out and Run 5k Race Committee. She is also on the Alumni board of her high school, the Institute of Notre Dame (IND). She is an avid golfer and also enjoys boating and spending time with her family, which includes husband Gregg and daughters Kimberly and Courtney. She and her family are from Baltimore and live in the White Marsh area of Baltimore County. 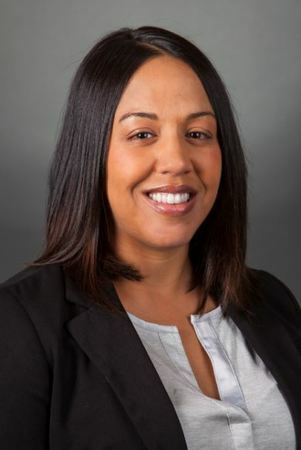 Gina Harper is a Senior Registered Associate for The Jeffrey Group at Morgan Stanley. She joined the team in April, 2015 after working as a Senior Registered Client Associate for Wells Fargo Advisors from 2007-2015. Gina provides the proficient handling of all client administrative needs while providing a high level of service to all clients. Ginas primary responsibility is managing new client relationships beginning with initial account opening, tracking account transfers and assisting the Financial Advisors with investment management implementation. She also works closely with the team to provide operational support for insurance and annuity products that we provide to clients. Gina is a graduate of Rutgers University in New Jersey and is also a Registered Representative having passed the Series 7 and Series 66 examinations. Gina is an enthusiastic volunteer and supporter of the ASPCA and ALS Association. She, her husband Jeff, and daughter Gianna enjoy living in Laurel, MD. Maggie Ferguson joined The Jeffrey|Chamberlain Group as a Client Service Associate in June, 2018. She graduated from Loyola University Maryland with a BA in Psychology and a double minor in Business Administration and Spanish. Maggie provides fundamental support in all aspects of client service with a primary focus on building client relationships. Clients can contact Maggie for assistance with inquiries such as; securities quotes, account balances, account activity, statement information, and general product and/or service information. She also assists clients with operational support and account maintenance requests including money transfers, account updates, trading support and more. Maggie is originally from Long Island, NY where she enjoys spending time with family, vacationing in the Hamptons and running. In fact, she is currently training for the Baltimore Half Marathon. She is settling into the Federal Hill neighborhood of Baltimore City. 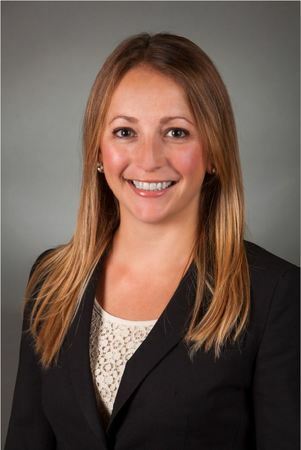 Sarah George is an Assistant Vice President and Consulting Group Analyst for The Jeffrey Group at Morgan Stanley. As a Jeffrey Group member since 2008, Sarah is responsible for the research and analysis of financial markets as well as investment managers and products. She evaluates overall portfolios at a macro level, comparing them to target allocations, goals and benchmarks. At the micro level, she assesses the attribution of specific asset classes and managers to a total portfolios risk and return results. She assists the team in the management of its investment advisory business, monitors portfolio results, and researches new investment ideas to be considered for implementation in client portfolios. Sarah received her Masters of Business Administration, with a concentration in Finance, from Loyola University Maryland in January of 2015. Sarah majored in Economics and Business at Towson University, earning a Bachelor of Science degree in 2006. She is also a Registered Representative having passed the Series 7 and Series 66 examinations in 2006. In addition she has recently begun coursework for another very rigorous and prestigious exam. Sarah and her husband, Tim have been residents of Columbia, MD for nearly eight years. They enjoy running and spending time with their Boston terrier Charlie. 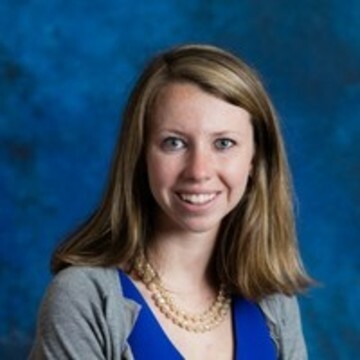 Kristin McCartin is a Business Development Associate with the Jeffrey Group at Morgan Stanley and has been in this role since April 2013. She assists the team in providing superior client service and experiences for current and prospective clients. Kristin handles multiple aspects of marketing for the team, including planning events and seminars and managing client communications. She enjoys giving our clients a unique experience through our teams special events and Morgan Stanleys programs. Current and prospective clients can contact Kristin to learn more about future seminars and events we are planning. She can also assist with scheduling meetings and providing additional schedule availability for the team. In addition, Kristin is the point person and can be contacted for more information on Morgan Stanleys Cash Management services, Reserved program and Morgan Stanley Online. Prior to this role Kristin worked with The Jeffrey Group from 2004-2008 as a Registered Client Service Associate and in the Baltimore branch as a Complex Service Manager from 2008-2013. She has earned a BBA in Marketing and an MBA in Business Management from Loyola University in Maryland and is also a Registered Representative, having passed the Series 7, 63, 65, 9 and 10 examinations. Kristin, her husband Dan, son Dylan and daughter Avery live in the Canton neighborhood of Baltimore City. Ready to start a conversation? Contact The Jeffrey | Chamberlain Group today.